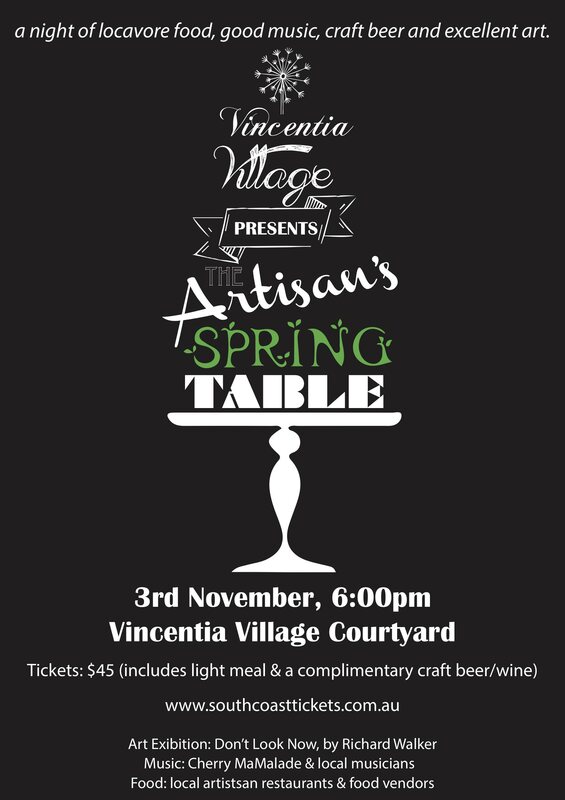 Join us on Saturday, November 3rd for The Artisan’s Spring Table: a night of locavore food, good music, craft beer & excellent art. With an awesome band Cherry MaMalade, locally produced street foods and and our very own Richard Walkerart exhibition: Don’t Look Now: A Course in Photographic Depreciation…It will be a laid back, low key experience that you will not forget! Our first Artisan’s Table event sold outso the pre-purchase of tickets is essential: $45 per person which includes a light meal, a glass of craft beer and live music. Shoalhaven food vendors will also be on hand for you to purchase lots more goodies.